You may find from our wide assortment glass doors with aluminum frame. Steambath doors are stylish and maintenance-free. The jambs for the steam-sauna doors are made of air-humidity-resistant aluminum. 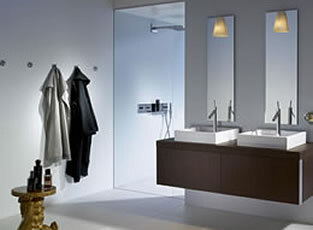 Calere steambath doors can be made for right-hand and left-hand use.